We don't do much for Halloween but we do love the treats that this season can bring. 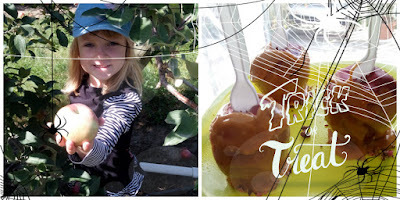 We have gone apple picking twice in October and have made Caramel Apples after both visits. 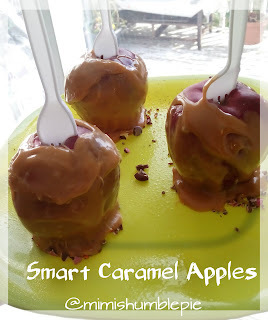 I usually use the pre-made caramel wraps from the grocery store but decided to make them using the recipe on the back of the caramel candy bag. The first attempt came out terrible and I didn't capture the photo evidence. I will say that using a non-stick spray is essential for getting the apples off the plate. On the last attempt, we crushed Smarties and sprinkled them on the plate so the apples would have a tasty place to set, and it helped in getting them off the plate too. My caramel apples look like they were made by a six year, I wouldn't redo for the sake of a pretty picture. She was pleased with the final product and they were very tasty. Peel the caramels and place in a shallow glass dish that is microwavable. Add the milk and butter, then set inside the microwave-without turning it on yet. 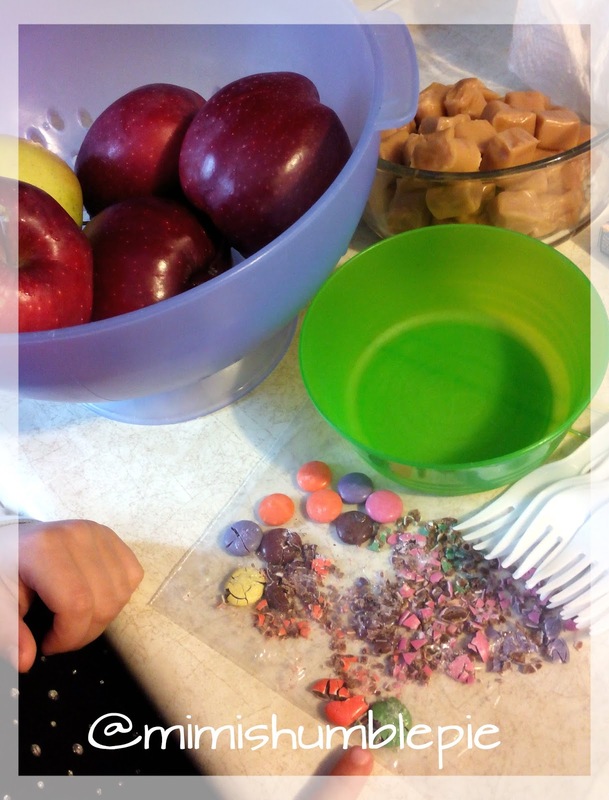 Smash the Smarties using a bowl, plate, or rolling pin. Wash and dry your apples very well. Stick a plastic fork in the center of each apple. Spray your plate or dish with non-stick canola spray. Add 1 tablespoon of crushed candy, in four separate mounds on the plate. Clear a space in your fridge for the apples to cool when dipped. Microwave the caramel and butter mixture for approximately 2 minutes on medium power. Stop every 30 seconds to stir with a silicon spatula and check for scorching. 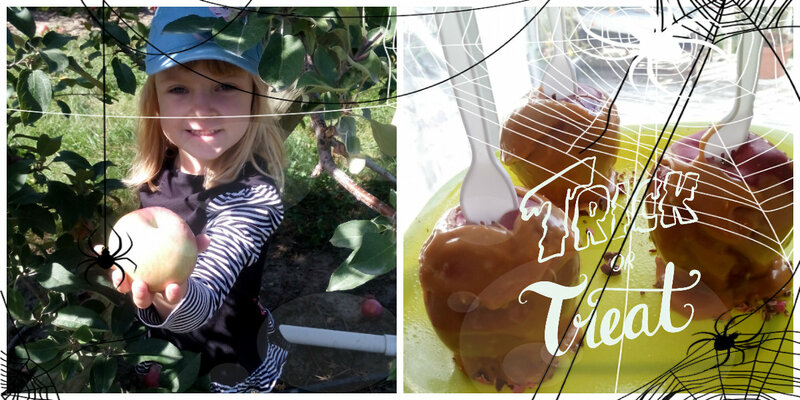 Use the fork to handle the apples and dip/roll them in the caramel. Use the spatula to scrape off the excess caramel on the bottom of the apple, more will puddle. Place each apple on their mound of Smarties, and sprinkle remaining candies on the top of the caramel apples. Place in fridge for about an hour to set. 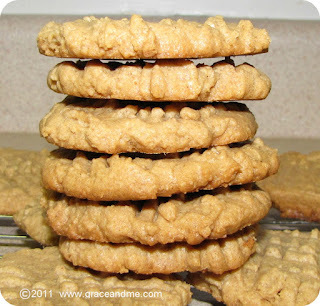 Use toasted coconut, crushed nuts, or crumbled cookies for the base. 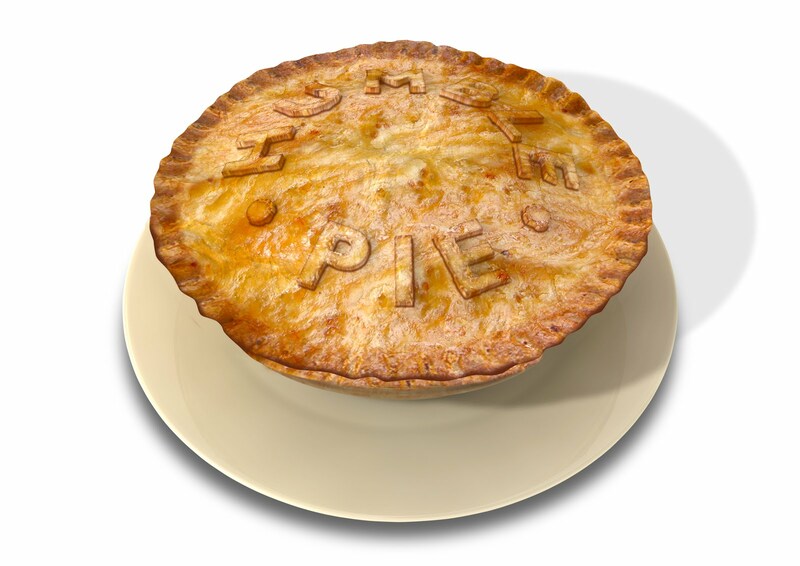 Disclosure: This is an inspired recipe which I made my own through trial and error. This post is not sponsored nor endorsed by any brands mentioned within.